This cool new feature will make it easier to identify and purchase products, this is similar to what has been achieved with audio to locate tracks but looks like Amazon and Snapchat will be able to use it for you to more easily find the products they are looking for by image matching. The idea is to turn the camera into a type of cursor. Snapchat is rolling out a new tool to let users identify objects in real life and then buy them on Amazon. 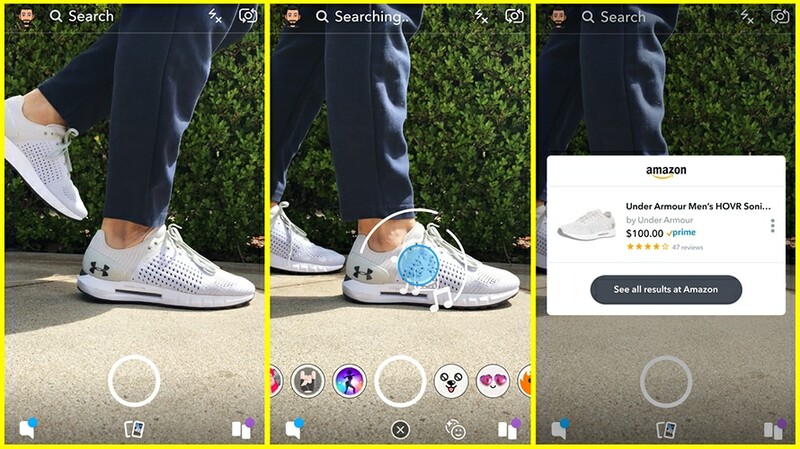 The companies are announcing a partnership for a “visual search” feature, which will let users point Snapchat’s camera app at items to find them within the ecommerce giant’s inventory. The idea, according to Snap, is to turn the camera into a type of cursor that makes it easier for identifying products and buying them on the spot. When the app recognizes an item or a barcode, an Amazon card will appear within Snapchat that will then lead to Amazon’s app or website.